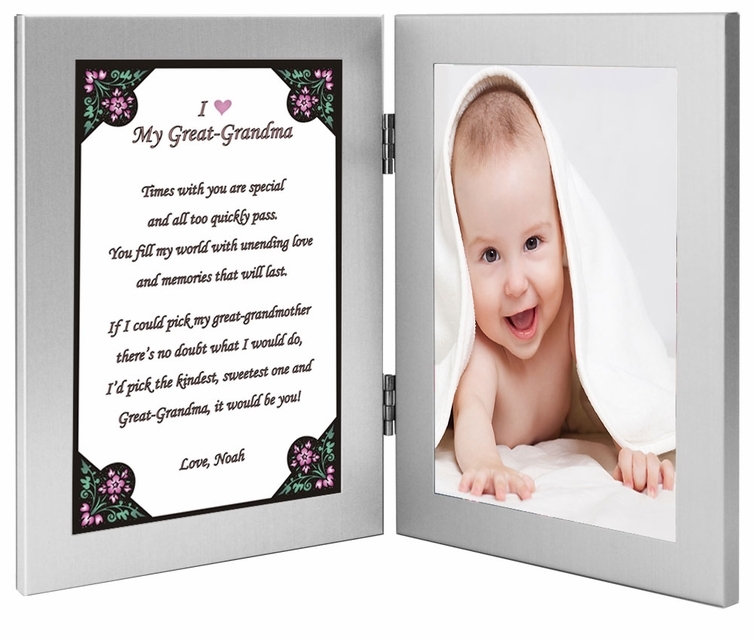 Great-grandmothers love this special gift with its loving personalized poetry and photo of her great-grandchild. 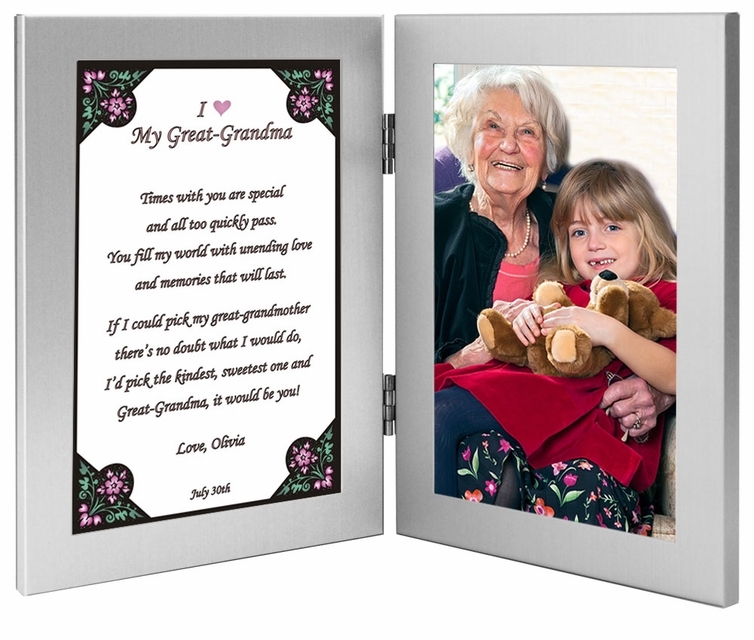 Wonderful personalized birthday present or Mother's Day gift for Great-Grandma. Any day is a good day to give great-grandma a present. The loving words in this poem and a photo of her great granchild(ren) will surely melt any great-grandma's heart. Whether you call her Great-Grandmother, Gaga, Great-Grandma, etc. 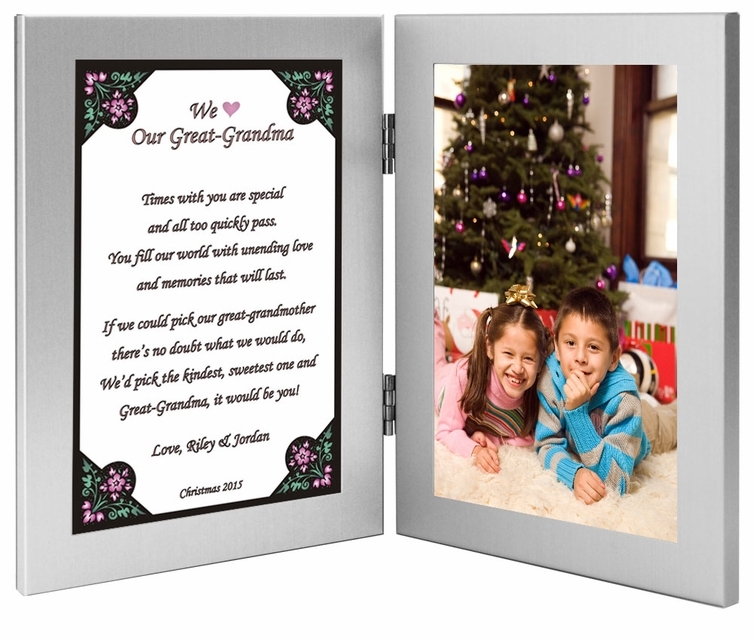 we can personalize the poem for you so it's perfect for the special great-grandma in your life. It's perfect for her birthday or as a "just because" gift. Guaranteed to get you EXTRA HUGS! Great-Grandma, it would be you!